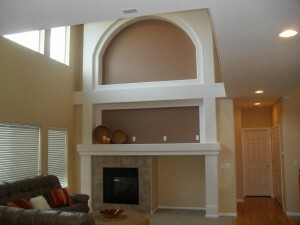 We are interior painting specialists serving the Fort Collins, Loveland, and Windsor areas of Northern Colorado. We are a Top Rated Local® painting company and take pride in all aspects of a job. We hold a number of goals in mind on every job. We believe in old fashion customer service. 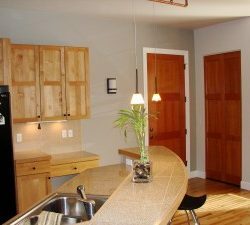 You’ll have peace of mind each and every time you hire Distinct Painting Co.
Additionally, we ensure safety, professionalism, cleanliness, respect, and repeat satisfaction every time. We respect that you live in your house and so we minimize mess and inconvenience. We hold ourselves to a high level of workmanship and integrity. We are known for the high quality of our workmanship and attention to detail. We hold ourselves, and our work, to the highest of standards of quality. We believe that a flawless paintjob is accomplished by paying close attention to details on every project no matter the size of the job. 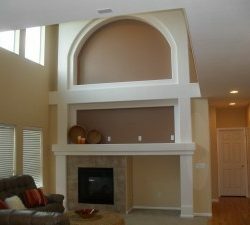 Combine these high work standards with top quality products and caring professionals, and you get beautiful end results. When you have the interior of your home painted you want it to look as if that paint was always there; no drips, no brush marks, and no tape left on the trim. We deliver the highest level of professional-grade painting there is, every time. A painting job is only as good as its preparation. If a new layer of paint is applied over an unprimed wall, or over wood that is rotting, the final results will be flawed. These flaws might not show up at first, but over time they will reveal themselves. The colors will not be as rich as they should be. The wood will disintegrate and fall out, leaving raw wood exposed, breaking the flow of color and opening the wood to more rot. If nail pop outs are not fixed, they will show and the job will look shoddy. The power of color to transform a space is displayed in interior painting. Artistically chosen and professionally painted colors can transform any house into a home. The colors that you choose for your rooms can transform a space from cozy to expansive or traditional to modern. There are several factors to consider when choosing colors for your home. Color psychology tells us that certain colors have particular effects on us. Greens make us feel calm while orange energizes us. All our work comes with an 8-year warranty that covers the quality of our workmanship and products. If the paint peels, bubbles or flakes, it will be covered by the warranty. If the caulking comes loose, we will come back and recaulk it. If you notice touch ups from our work, we will come back and repaint that area. We believe that a paint job should be flawless. 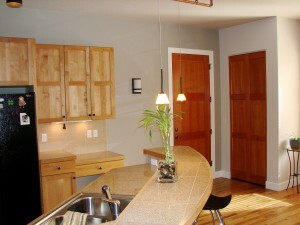 Call Distinctive Painting for all your interior painting needs.